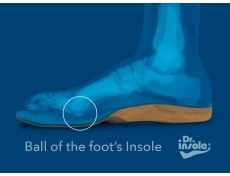 Dr Insole’s orthotics for high arches improve foot stability and support high-arched feet, helping reduce pain and stiffness that commonly occur with a high instep. Our insoles eliminate the excessive pressure on the ball and the heel of the foot and improve weight distribution and shock absorption, thus helping reduce the risk of sprains, injuries and deformations. 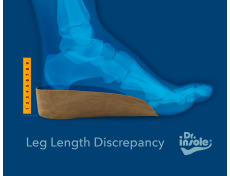 Our orthotics help to restore natural foot posture, increasing endurance and stamina. Our custom-made insoles are an effective solution for painful symptoms that result from having flat feet or "pes planus". 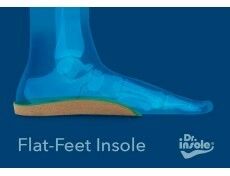 Dr Insole’s orthotics for flat feet provide support for foot arches, preventing overpronation and helping with foot realignment. Wearing our insoles improves foot posture, which results in more effective shock absorption and better weight and impact distribution. With Dr Insole’s orthotics for flat feet, foot and leg pain is greatly reduced and the risk of injuries is significantly lower. 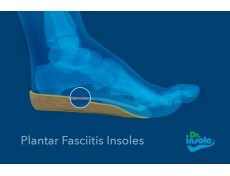 Dr Insole’s orthotics for plantar fasciitis help to heal the damaged connective tissue under the sole of the foot. Our insoles eliminate the stress and the pressure on plantar fascia, thus reducing heel pain and significantly accelerating the recovery of the tissue. Our insoles provide firm support for foot arches and comfortably cushion and protect your heels. Individually prepared to suit your needs, they correct gait abnormalities and restore natural foot position, giving you pain-free, healthy feet. Metatarsalgia is the name for pain in the forefoot. It can be caused by a variety of factors, such as wearing inappropriate footwear (like stiletto heels) for a prolonged period of time. 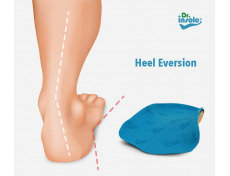 If you are suffering from metatarsalgia, you should look into getting a pair of cushioning insoles that would help to correct the problem causing the pressure on the forefoot. Our metatarsalgia insoles now include a special cushioning pad , helping to absorb pressure from the ball of the foot and forefoot. Our handmade insoles will help to cushion any heel spurs you have in your feet. Heel spurs can cause severe pain and discomfort but using a cushioned top cover on insoles that are perfectly matched to your feet can dramatically help reduce the symptoms of pain. 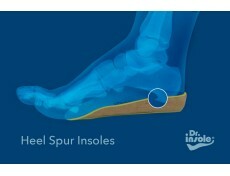 Using our insoles, alongside any other rehabilitation programme, will make heel spurs manageable. 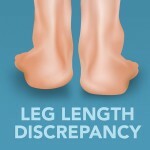 Heel raises or height-increasing insoles can be used for leg length discrepancy conditions where one leg is longer than the other. Heel raises give your feet enhanced support, comfort and flexibility. These insoles are extremely comfortable and they mould to the shape of the foot. They are also very durable and strong. Heel raises are made from a high quality cork surface ensuring maximum ventilation and comfort. 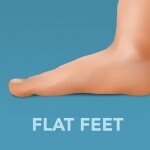 Height increasing insoles are also beneficial as they provide you with the taller appearance that you require. 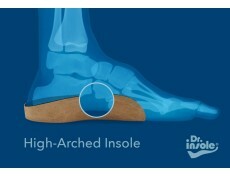 Insoles are particularly beneficial because they are hidden, providing you with a more natural appearance.